Coda's Stand-Outs and Mural Mounts are popular for trade show images, corporate lobby displays, and portrait photography. They are a finished mount ready to hang, lightweight and durable for any image. These mounts can be held with Velcro strips for ease of hanging. This is standard 3/16" thick foam core mount. Lightweight and easy to trim, it is suitable for mounting small and large prints. Fairly soft and easy to compress, it is more fragile than other mount boards in the Cold-Mount® line. This is a thin 1/8" thick foam core mount. It is extremely lightweight and very easy to trim. It is suitable for mounting small and large prints. Slightly more fragile than Foam Core 3/16" thick, it is suitable in applications where a print must be inserted in a frame or moulding with limited clearance. Coda-Foam is a proprietary foam-centered board that is coated on both sides with a tough snow white plastic shell. 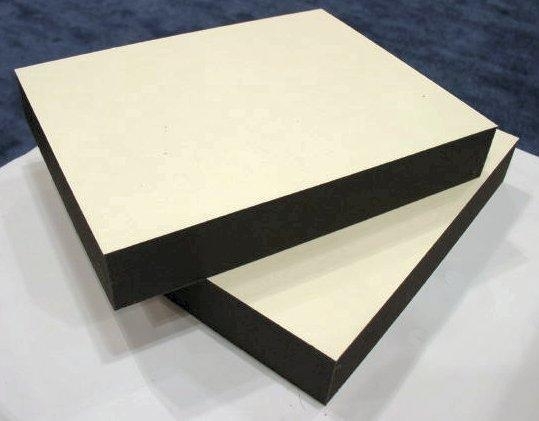 Stiffer than standard foam core, it is completely sealed and cannot absorb moisture. Changes in humidity will not cause Coda-Foam to warp. This is a 40 point (approximately 1/16" thick) cardboard mount. It is suitable for mounting smaller prints. Because it is a fiber based board it is affected by changes in moisture content and may warp or bow in larger sizes or in situations where there may be large changes in humidity. This board is not available in sizes larger than 20x24". This is an 80 point (approximately 1/8" thick) cardboard mount. It is suitable for mounting smaller prints. Because it is a fiber based board it is affected by changes in moisture content and may warp or bow in larger sizes or in situations where there may be large changes in humidity. This board is not available in sizes larger than 20x24".